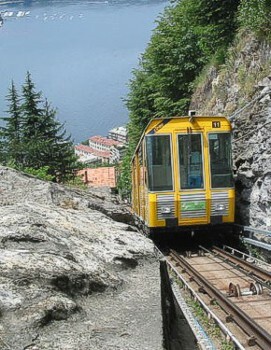 A very popular excursion from the city is the ascent by funicular to the village of Brunate. This fun train made its first journey in 1894 and still today, every 30 minutes, it links the city with an extremely atmospheric panoramic point. 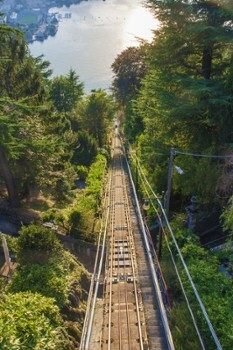 The journey lasts just 7 minutes on a track that has the maximum gradient allowed - 55%. 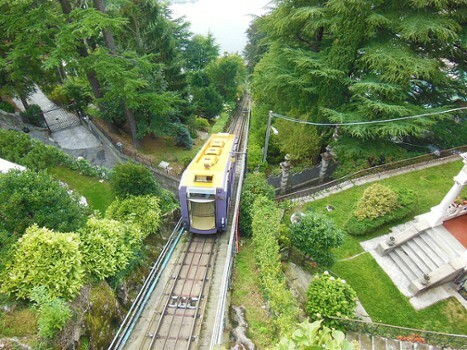 The village of Brunate is situated approximately 700 metres above sea level and has always been a holiday destination for noble families from the Como and Milan areas who built numerous lovely villas in Art Nouveau style here. 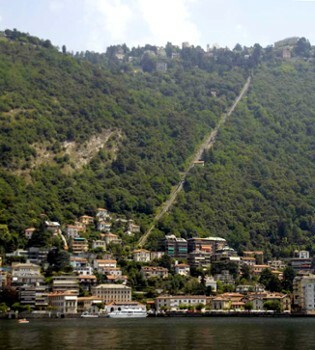 Brunate is also the ideal starting point for pleasant walks amidst greenery. From the viewpoint you can see the outline of the historic centre, the ancient Roman castrum and a view over the Alps and the Brianza plain. 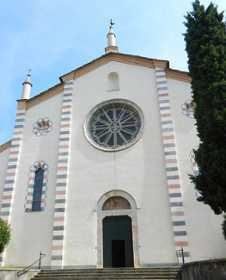 The church was founded in 1300 by two brothers Hermits of St. Augustine from Civilio, a village above Como, on land donated by a family whose members were later buried in front of the presbytery. 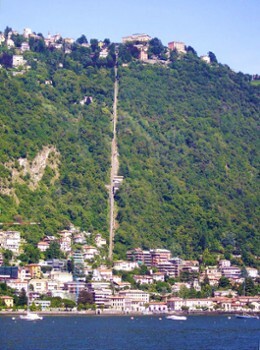 It is the only example of Cistercian architecture pointed to Como. Inside the spacious chapels are preserved frescoes from the first half of 16th century. 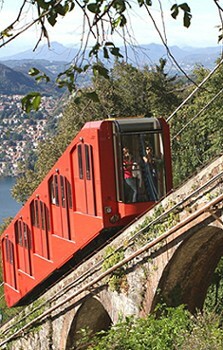 What better way to explore Lake Como's mountainous terrain than by cable car which offer incredible panoramas at dizzying heights. Nearby Things to Do include: Towns such as Brunate and Blevio; Castles & Ruins such as Broletto and Como Gate Tower; Monuments such as Life Electric and Monument to European Resistance; Villas such as Villa Geno and Palazzo Giovio; Museums such as Volta Temple and Museum and Roman Baths; Churches such as Sant'Agostino and Como Cathedral (Duomo).